As a destination wedding photographer, I have been privileged to photograph weddings in 12 countries, including the beautiful island of Bali in Indonesia. Getting to Bali from Los Angeles is no picnic, so only the most adventurous photographers will be up for the endless hours in flight. But the island itself is lovely, and the weddings I have photographed in Bali have all been truly beautiful. This image was taken at the Conrad Hilton Bali, which is where this Hong Kong-based couple had their three-day wedding celebration. 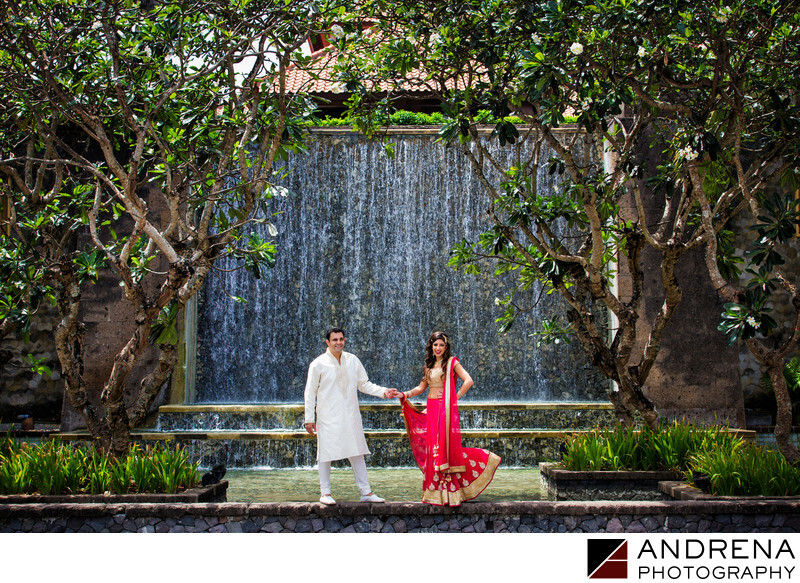 The festivities started off at the Ayana Hotel (which is the former Ritz Carlton Bali, at which I photographed a wedding several years ago). This couple had both a Parsi wedding day and a Hindu wedding day, both of which were wonderful ceremonies. The tropical nature of Bali and the hospitality of its people created a magical experience for all the guests who had traveled in for the wedding.